Joseph L. Caruncho, Sr. is the Chief Executive Officer of Genuine Health Group LLC. Genuine Heath Group is a newly-formed company that is developing an analytics-powered health management platform that focuses on assisting health care providers and payers to transition to value-based payment models, including entering into risk agreements with Medicare Advantage health plans, and developing and managing Accountable Care Organizations. 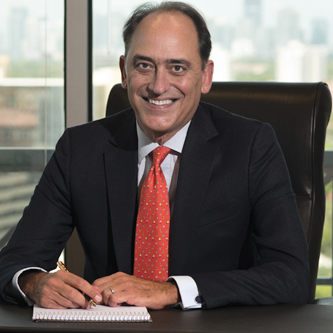 Mr. Caruncho’s previous projects include being the co-founder, Chairman and CEO of Preferred Care Partners, a health care company that owns and operates Medicare Advantage and Florida Medicaid insurance plans in Florida. During his tenure as CEO, Mr. Caruncho led the company from a start-up to over $750 million in annual revenues, with over 600 employees. United Healthcare acquired the Company in June 2012, and he retired from the Company in August 2013. Mr. Caruncho is a licensed attorney and a member of the Florida Bar. For 13 years prior to founding Preferred Care, Mr. Caruncho practiced law as a corporate healthcare attorney, representing physicians, hospital systems, health care delivery networks, ancillary providers and health plans. Active in the South Florida community, he has received numerous recognitions, including induction into FIU’s College of Business Entrepreneurial Hall of Fame, selection as the Ernst and Young Health Care Entrepreneur of the Year for the State on Florida, South Florida Business Journal’s Healthcare CEO of the Year, and being listed in Hispanic Business Magazine as one of the Top 100 Most Influential Hispanics in the U.S. Mr. Caruncho has served on the Florida Board of Governors, which governs all public state universities in Florida. Mr. Caruncho also served as the BOG’s representative on Governor Scott’s Blue Ribbon Task Force on Higher Education. He has also previously served on the Board of Trustees of Florida Polytechnic University and Florida International University, and is former chairman of the FIU Foundation Board of Directors.